"Changing the established dynamic, on-demand manufacturing is evolving in close harmony with all the elements of Industry 4.0 and the creation of a digital supply chain." - Stephen Dyson, Head of Industry 4.0 at Proto Labs. Industry 4.0, one of the key components of the fourth industrial revolution, is happening in every corner (maybe select a more precise word) ARA of industry. Arguably, it is one of the most progressive technology-centred landmarks of our time: production automation, data exchange, the Internet of things, on-demand manufacturing and cloud computing. All evolving fast. With capabilities defined by its name, on-demand manufacturing, utilising 3D printing, CNC machining and injection moulding technologies, is enabling new levels of production and delivery flexibility. Changing the established dynamic, on-demand manufacturing is evolving in close harmony with all the elements of Industry 4.0 and the creation of a digital supply chain. Around a third of industrial companies have already digitised their supply chain; according to a recent PwC survey, nearly 75% of industrial companies will have gone digital by 2020. It’s an unstoppable transition and, although we may only be currently scratching the surface, manufacturers are not watching things happen, they are making things happen. Quite literally. Stepping back for a moment to consider the ‘why’. For one thing, competitive pressures are resulting in a need to accommodate shorter product life cycles. So there’s a clear pre-requisite to accelerate new developments, improvements and refinements. That means being more effective, including selecting and working with the best partners and applying fresh thinking as opportunities are identified. Inevitably, it becomes a question of finance and enhancing the bottom line. Whether for prototype development or part manufacturing, striving for savings in every quarter is on most company agendas. Just-in-time and lean manufacturing are both well-established; on-demand manufacturing takes the best of those concepts and moves things on. In short, as the squeeze remains firmly on reducing costs while improving output and striving to advance best practice, on-demand manufacturing ticks a lot of contributory boxes. Here’s the point. Although on-demand manufacturing may be thought of as a ‘here and now’, short-term benefit, businesses that choose to harness its power, should also look at the long term picture from a costing perspective. Depending on project requirements, the cost benefit of on-demand manufacturing can be evaluating over the whole product life cycle (PLC). Although challenging to forecast future costs with high levels of accuracy, a PLC approach can present a different, more realistic picture to support the decision-making process. A fundamental starting point is that on-demand manufacturing can begin with a partner supplier that has both rapid prototyping and low volume production capabilities. If the same supplier, with the ability to convert CAD model direct to product, also has on-demand production resource, then there are clear advantages from the start. There is no need to move things around and start processes afresh with another manufacturer. No (costly) time is spent building and maintaining new relationships and there’s less admin overhead and fewer communications channels to co-ordinate. 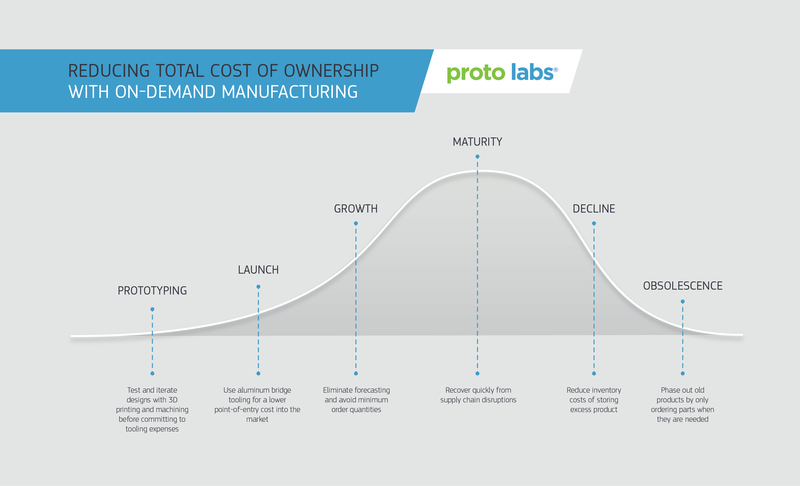 With prototyping and design testing completed, on-demand manufacturing supports demand volatility. Production can be scaled-up or scaled back as necessary. Inventory levels can be kept to a minimum and the risk of outages and wastage are easier to manage with an on-demand resource. As a result, financial and non-financial savings will be made. Additionally, if customers require prompt design modifications, on-demand manufacturing can make what might have been previously impossible, possible in a short timeframe. For some companies, on-demand manufacturing may lead to a short-term view of manufacturing. However, for a product with a regular production pattern in low-volume quantities, manufacturers with a longer-term view will harness the financial reward of a total cost of ownership approach with solutions including mould ownership and mould tool maintenance guarantees. 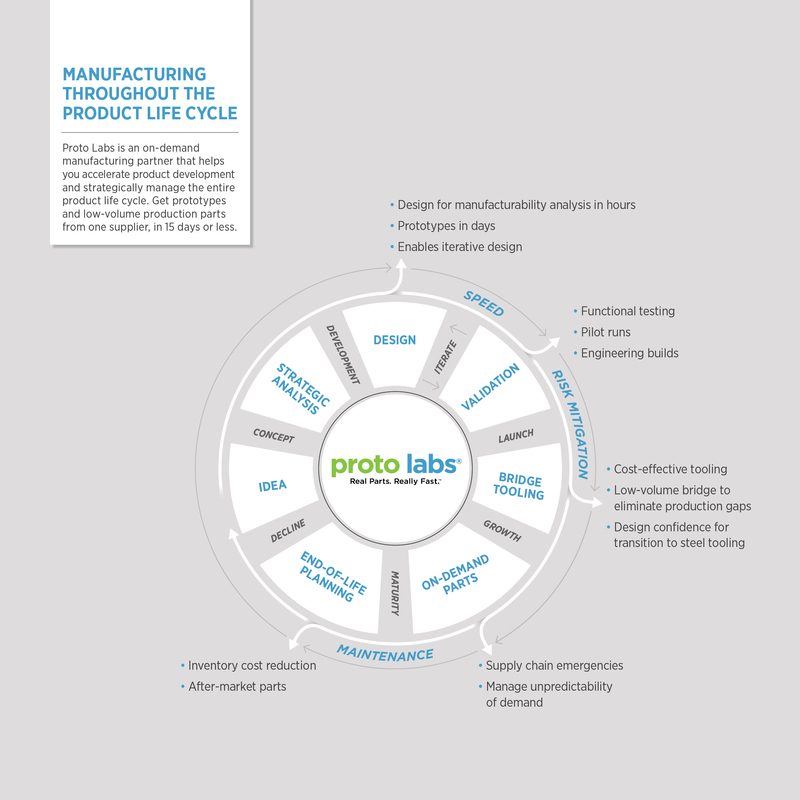 It’s important to mention that on-demand manufacturing may not be appropriate for the whole lifecycle of a product. When the project reaches mass production stage, with order quantities above 100,000, a high-volume manufacturer is required. Conversely, as a product nears the end of life—perhaps to maintain a spares supply line—reverting to an on-demand, low volume facility can be more appropriate. During this process, while the one product declines, a replacement product is likely to be in development and the cycle continues. Taking a bigger picture PLC approach, combining direct and indirect costs, can require a change in mind-set when budgeting. For example, amortising costs over greater volumes for a longer period can take creative thinking and criteria assessment, but delivers long-term financial benefit. One thing is clear, on-demand manufacturing is growing in importance; fast becoming as essential as robots and integrated computer systems. In 2017, manufacturers may only be in the foothills of experience in making a business case for choosing on-demand manufacturing. As knowledge grows, taking the PLC approach, there will be more data to analyse and informed decisions regarding on-demand manufacturing will be made. 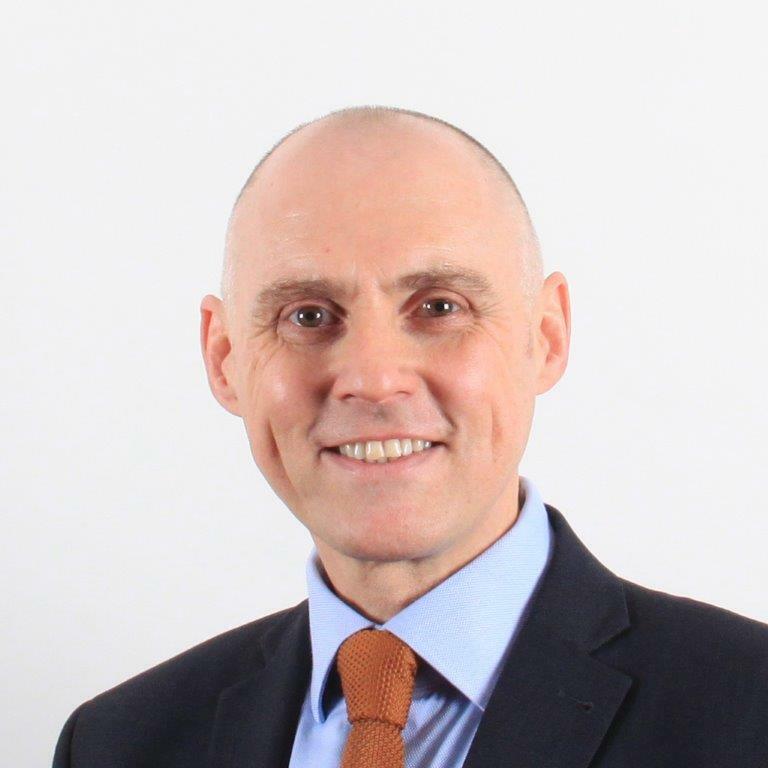 Stephen Dyson is Head of Industry 4.0 at Proto Labs.